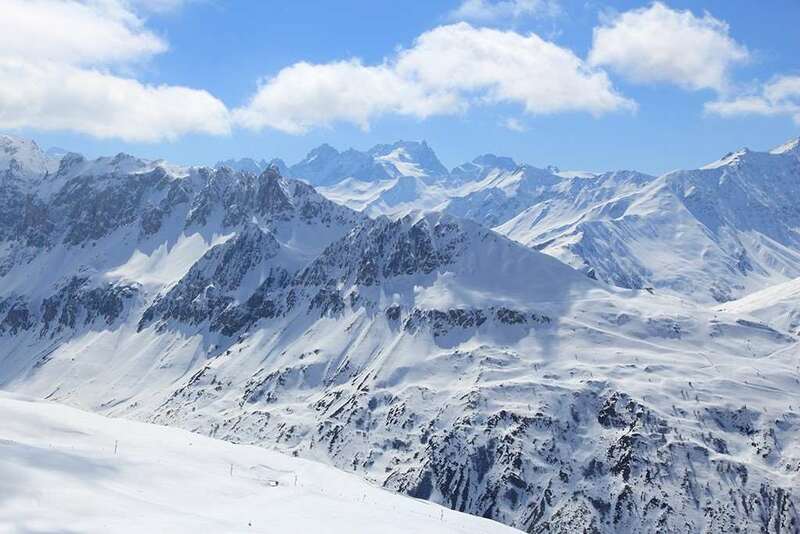 The 4 south facing chalets, comprising 20 lodges (from 25 to 65 m²), offer a wonderful view of the mountains and provide all the necessary comforts for an exceptional family holiday in the mountains! For your mountain holidays with family and friends, come and stay in our accommodation which sleeps from 4 to 10 people. Apartment, 30-34 m² This apartment is very well equipped, comprising of 1 ski locker, 1 living room with 1 sofa bed, 1 kitchenette with dishwasher, 4 hot plates, a microwave-oven and a fridge-freezer. There is 1 bedroom with 2 single beds, 1 bathroom with separate toilet and a balcony. Apartment, 38-43m² This apartment (some have disabled access) is very well equipped with 1 ski locker, 1 living room with a sofa bed, 1 kitchenette fitted out with a dishwasher, 4 hot plates, a microwave-oven and a fridge-freezer. There is 1 bedroom with 1 double bed or 2 single beds, 1 bedroom or cabin room with 2 single beds or bunk beds or pull out beds, 1 bathroom or shower room, most apartments have individual toilets and 1 balcony. Apartment, 50-60m² This apartment (some are 2 storey) is very well equipped and comprises of 1 ski locker, 1 living room with a sofa bed, 1 kitchenette fitted out with a dishwasher, 4 hot plates, a microwave-oven and a fridge-freezer. There is 1 bedroom with 2 single beds, 1 bedroom with 1 pull out bed and 2 single beds or 1 double bed, 1 bathroom with individual toilet and a balcony. Apartment, 50-60m² This apartment (some are 2 storey) is very well equipped and comprises of 1 ski locker, 1 living room with a sofa bed, 1 kitchenette equipped with a dishwasher, 4 hot plates, a microwave oven and a fridge-freezer. There are 2 bedrooms with 1 double bed or 2 single beds, 1 cabin room with bunk beds, 1 bathroom or shower room, toilet (most of the apartments have a second bathroom) and 1 balcony. Apartment, 60-65m² This apartment (some are 2 storey) is very well equipped with 1 ski locker, 1 living room with 1 sofa bed and balcony, 1 kitchenette equipped with a dishwasher, 4 hot plates, a microwave oven and a fridge-freezer. There are 1 bedroom with double bed, 1 bedroom with 2 single beds. 1 bedroom with bunk beds, or double bed, 1 bedroom with bunk beds, or additional sofa bed/pull out bed for 2 people in the living room. Most apartments have an additional bathroom and WC.